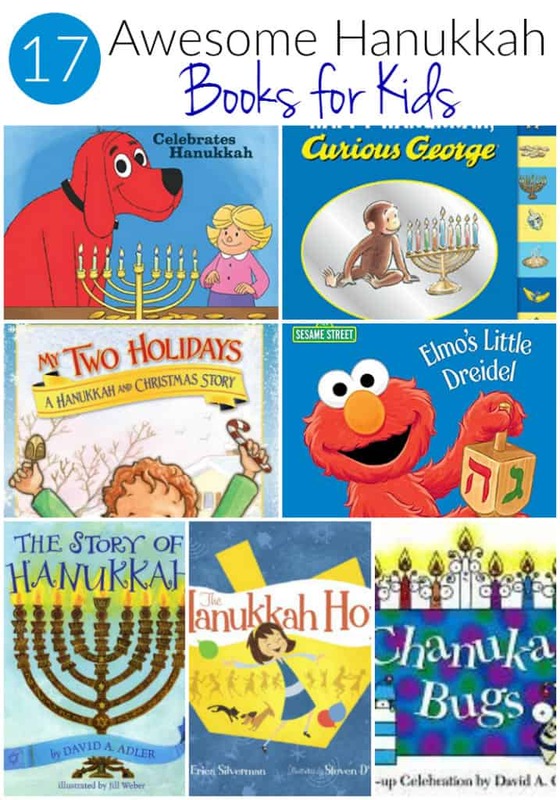 Whether you celebrate Hanukkah or you want to teach your children about this cultural holiday below is a list of children’s books about Hanukkah. (You can read more about this holiday here.) If you’ve got any Hanukkah crafts you can share with us I’d LOVE to share them below! Send me a pic via e-mail or leave a comment with your blog post and I can add it to our post! Hanukkah isn’t just one day – it’s 8 days – which provides great opportunities for learning and reading! 13. The Everything Kids Hanukkah Puzzle & Activity Book: Games, crafts, trivia, songs, and traditions to celebrate the festival of lights!